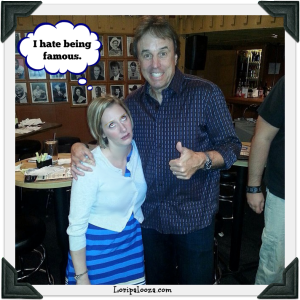 I went to Zanies this weekend and as it turned out comedian, Kevin Nealon was there. 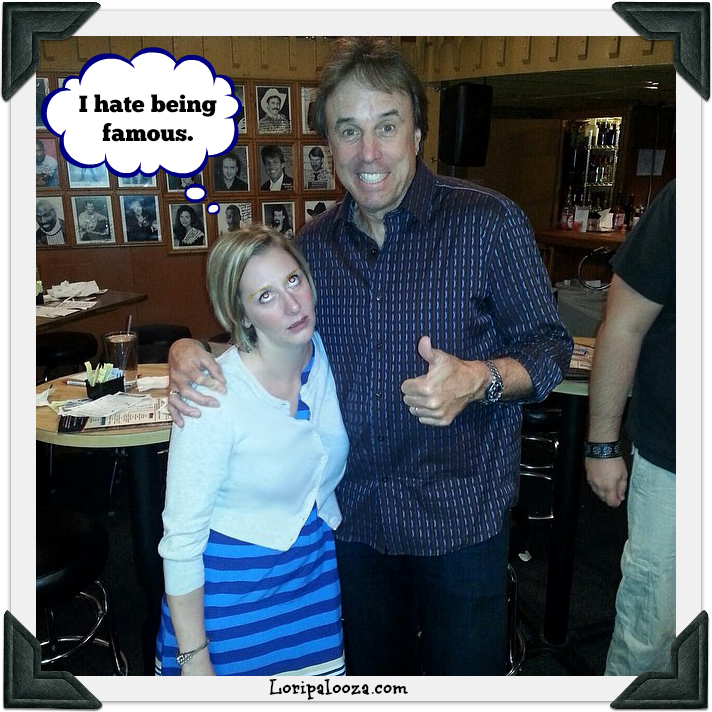 You probably knew this, but Kevin Nealon is a huge fan of my work. So I slipped him an autographed copy of I Just Want To Be Alone. Ugh, I’m so sorry you have to deal with all this annoying celeb pressure. Gosh, can’t a gal just get a night out?? Right? I’m going to start rocking a more generic look, I think. Probably some tights and a cape. I just want to blend in like all the other Kardashians. I want to leave some clever little comment, but I am so in awe of your magnificence that I literally can’t string a sentence together (as evidenced by this awkward comment…) You rock, you are my hero, I bow down at your feet! Funny you should say that, Lynn. I heard the exact same thing from Pope Francis this morning. Now, kiss my ring. If my name is in the book and he READS the book that means he read my name and so we’re all famous and can go live on our own islands now, right? Well done, my friend! P.S. Can you please write a note to my boss excusing me for the next six months or so so we can go on tour together? Big thanks. It is difficult to be so famous, isn’t it? lol. Precisely, Alexa. Not all it’s cracked up to be. I left out the part where I fell coming out of the bathroom two seconds before that picture was taken. Fortunately, his back was turned and he’s so dang tall that he didn’t notice my bloody knees. The worst part is, I was sober. I had no excuse to fall. Decided then and there I was never NOT drinking again. He’s probably reading my essay right now. Must go look into his Tweets to see where he gushes about meeting a real live Internet star! How exciting for him! Lol, you know it had to be!